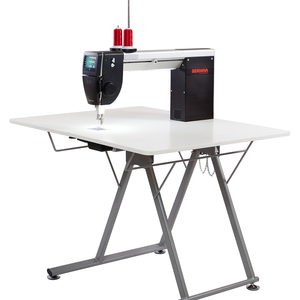 Bernina Q20 and Folding table, We are introducing a new folding table for the Q20 sit down model introduced January 2018 by Horn of Australia. 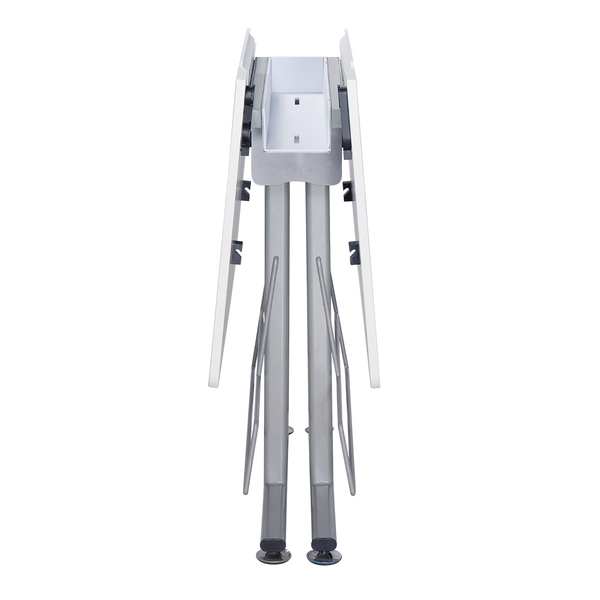 It is designed to fold up and tuck away even while the machine is fastened to it, making this perfect for consumers who may not have the space needed for the big heavy Koala cabinet. 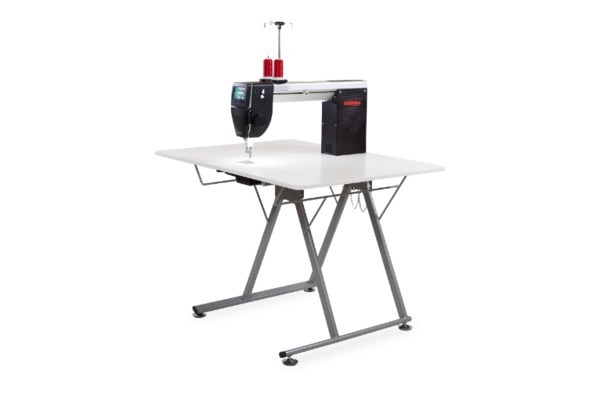 This new table is designed to handle the speed adn weight of the Bernina Q20 for optimal performance and style, but can be easily stored away for those with limited space. 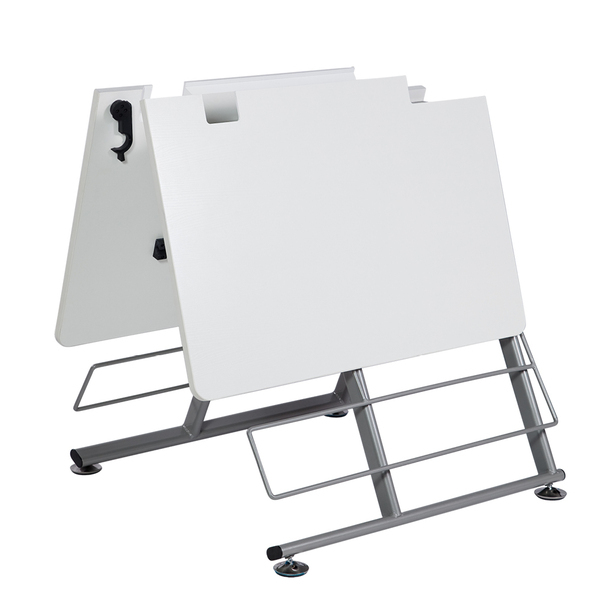 The foot print of the folding table is similar to the heavier Koala table. Price does not include delivery and installation charges. Optional upgrade It is possible to upgrade the BERNINA Q 20 to a frame model. 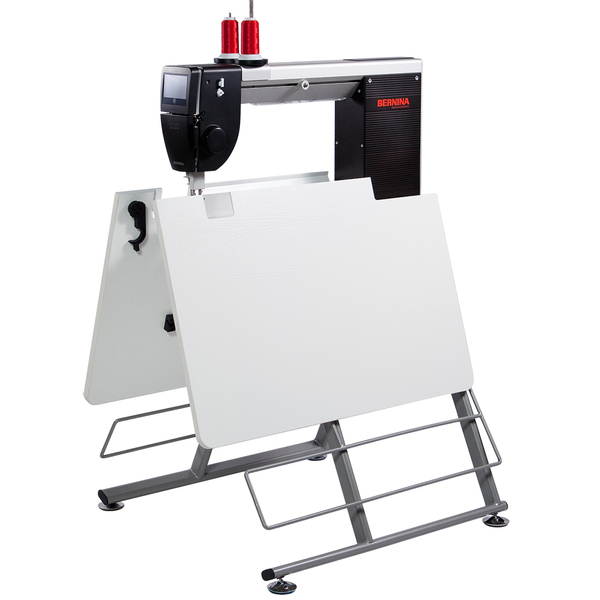 Bernina Q20 Sit Down Longarm Quilting Machine Video. 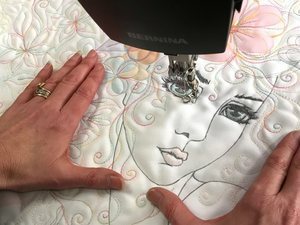 BERNINA Q 20 Tutorial: Stitching with and without the BERNINA Stitch Regulator. BERNINA Q 20 Tutorial 3: Preparing to Stitch. It is possible to upgrade the BERNINA Q 20 to a frame model. Manage larger quilts with full comfort. Handle speed & weight of the Q20 with ease. Perfect for limited space and easily stored away. Table size 36x40"